Indian Railways Launches New SMS Gateway To Alert Passengers On PNR Status Updates! It is great to see Indian Railways taking proactive steps to ease travelers woes when it comes to online train ticket bookings, which for a very long time, have been plagued with issues affecting millions of Indian travelers. Very recently, Indian Railways launched a light-weight version of IRCTC website, where during the time of Tatkal bookings, the site will be completely devoid of any advertisements, messages and other clutter. This ensured that the site loaded fast, and passengers were able to book the tickets in a much faster and streamlined way. 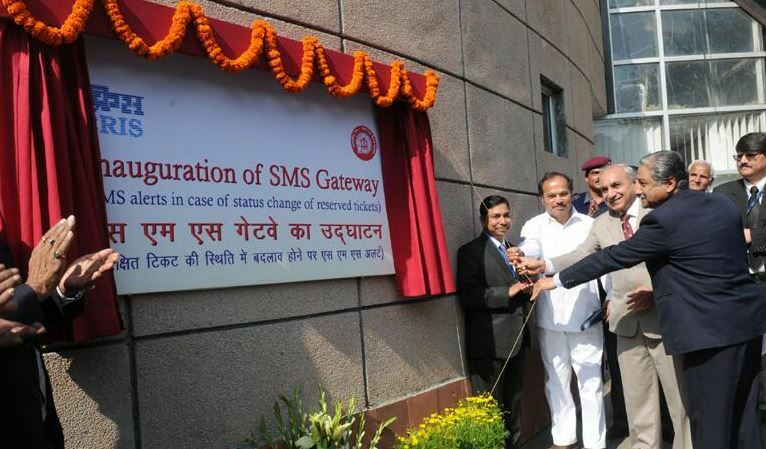 Taking one step further, today Indian Railways has announced launch of newly developed “SMS Gateway” that will enable passengers to get free SMS alerts on the status of reserved tickets. Previously, the SMS alerts were sent only when the booking was made. Any update on wait list position or berth confirmation were not sent via SMS. The customers had to actually log on to the website or call 139 number to know about the updates. But this will soon be history. The ‘SMS Gateway’ project will be used to send SMS alerts to passengers whenever there is a status change in the PRS tickets, as compared to the initial booking status (For example W/L to RAC, RAC to CNF, W/L to CNF). SMS alerts prior to chart preparation will be sent once a day, and in case of status change only, beginning from 5 days before the journey date. SMS alerts will also be sent after actual chart preparation (which is normally done 3-4 hours before train departure) that will convey the actual Berth No., Coach No. and RAC No. for those passengers whose final Charting status has changed as compared to the initial booked status. In case of any ticket upgradation or seat re-allotment also SMS alerts will be sent. This is a huge change because now passengers will not have to themselves do anything. They will keep getting updates as and when anything changes. It will not only benefit The passengers but will also greatly reduce the last minute enquiry rush on the IRCTC website. Passengers will not have to go to the website for checking PNR status anymore. The quantum for such queries is so huge, that there are hundreds of mobile apps specifically launched for the purpose of checking PNR status. Guess, these apps will be redundant going forward. Centre for Railway information Systems (CRIS) expects to send atleast 4 Lakh messages on daily basis through this new SMS gateway. CRIS developed this SMS Gateway in technical partnership with Mahindra Comviva and Velti Systems! 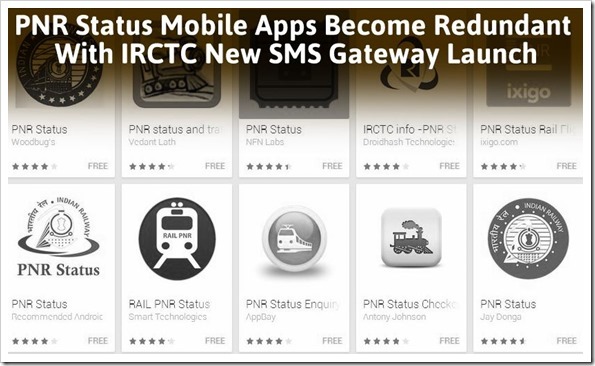 "Indian Railways Launches New SMS Gateway To Alert Passengers On PNR Status Updates! ", 5 out of 5 based on 1 ratings. Thanks to inform us about this app of checking PNR status online and book E-Ticket with IRCTC Login Train on its official website.